This show was at the Whitney in New York this fall and winter. 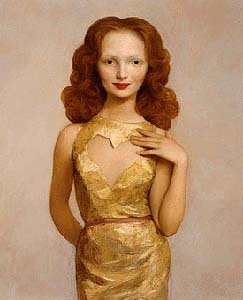 John Currin has great talents. He is a superb and provocative painter, and his work is inspired by images ranging from Italian and Northern Renaissance figure paintings to modern and contemporary magazine advertisements and fashion photographs. Currin’s paintings explore issues of beauty, representation, and desire through the presentation of the physical body and human relationships.